81. What is state machine in UiPath? A State Machine is a type of automation that uses a finite number of states in its execution. It can go into a state when it is triggered by an activity, and it exits that state when another activity is triggered. They also enable us to add conditions based on which to jump from one state to another. These are represented by arrows or branches between states. 82. What are sequence activities in UiPath? 83. How to import Namespaces in UiPath? In the Enter or Select namespace field, start typing the namespace that interest you. Note that suggestions are provided while you type in case you are not exactly sure what you are looking for. Click the drop-down arrow to view and browse all available namespaces. Select the desired namespace. The namespace is added to the Imported Namespaces. To remove a namespace, select it and press Delete. Note that namespaces can only be deleted if they aren’t used. For example, you can delete a namespace if the assembly that contains it is no longer referenced by the project. 84. What are Flowchart activities in UiPath? 85. What are Arguments in UiPath? Arguments are used to pass data from a project to another. In a global sense, they resemble variables, as they store data dynamically and pass it on. Variables pass data between activities, while arguments pass data between automation. As a result, they enable you to reuse automation time and again.UiPath Studio supports a large number of argument types, which coincide with the types of variables. Therefore, you can create Generic Value, String, Boolean, Object, Array, or DataTable arguments and you can also browse for .NET types, just as you do in the case of variables. Additionally, arguments have specific directions (In, Out, In/Out, Property) that tell the application where the information stored in them is supposed to go. 86. What are properties in UiPath? In uipath, you can use a lot of activities which is used for automating the apps of the web apps which you can see in the activity panel under the category of UI automation. The common properties of these activities are ContinueOnError, Delay After, Delay Before, TimeoutMS, WaitForReady, and target. 87. Can UiPath run multiple instances of the same process with one robot in one system simultaneously? You can run different processes with all Robots at the same time. These are called High-density robots. 88. What is Value and Scope of data types in UiPath? 89. How do you expand a Tree View structure in a web page using UiPath? If you are talking about expanding the root node for a collapsed tree, you probably would use Click Image since that would likely be unique. If you are trying to expand a particular node, you’d likely use Click Text, and give it a certain negative X offset in the Position property so that when it targets the text you want to expand the node for, it will end up clicking on the +. 90. Difference between UiPath vs Selenium? Selenium has been designed for testing the web applications or website. A selenium can’t interact with a huge number of applications. It is unable to use one’s application’s output and use them as a new input for another application and is not compatible with the virtual environments like the Citrix. 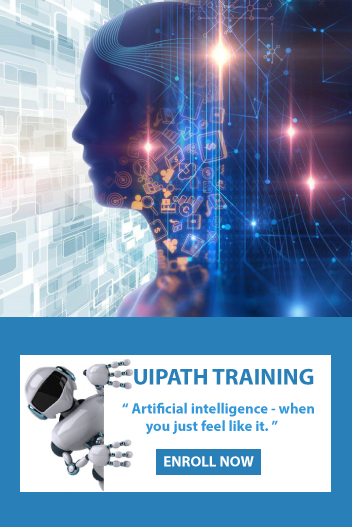 Whereas Uipath generally designs the software process that helps in automation. It is a sort of RPA tool which will help in performing activities like the human.